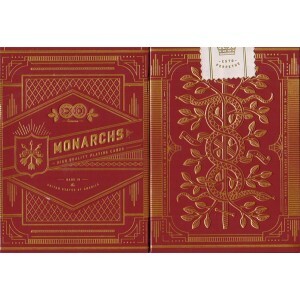 Playing cards fit for a KING - dressed in red. Gold foil, embossed, featuring a first ever silk-finish tuck case. 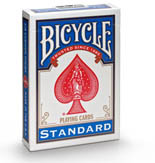 We spent time refining the world's finest deck. It turned out better than we could ever imagine. We treated the back design with a vibrant, dramatic shade of red. 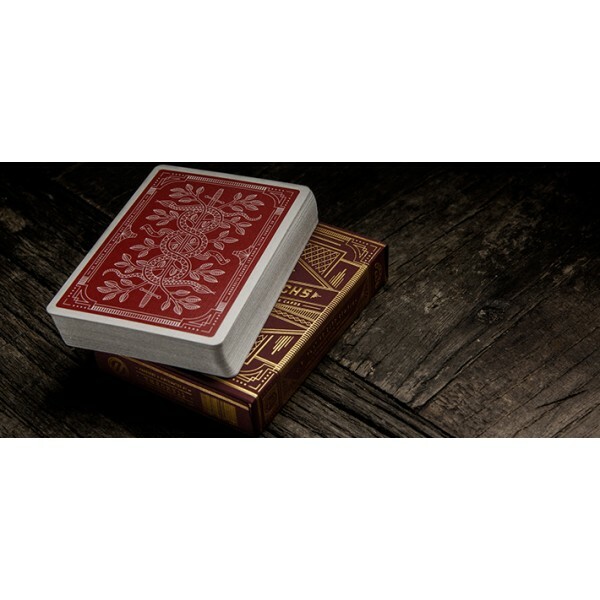 We upgraded the box, introducing the highest quality paper ever used on a deck of cards. This luxurious new paper gives the tuck a rich, matte finish — incredibly soft to the touch. 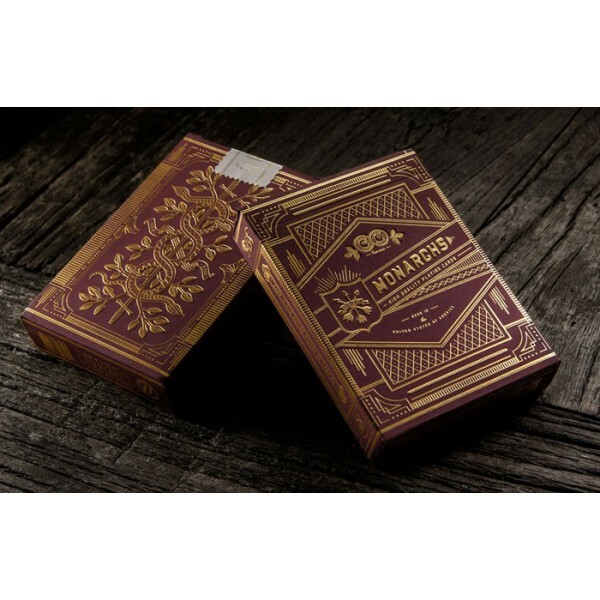 We printed the cards on Q1 quality paper, with ultra-thin borders, first introduced on our Animal Kingdom Playing Cards. We sought after the highest quality materials and produced one of our finest creations. The deep brown tuck case features the new ultra-lux matte paper found on our Red Monarchs. It's covered top to bottom in a striking gold foil. The design is accented by embossed stitch elements in the front and sealed with our signature precision printed gold foil sticker seal. It doesn't stop there. We used metallic ink on the back and hand-illustrated custom court cards.